Kick off your Global Finals experience with grandeur and wonder at our Welcome Ceremony! Housed for the first time in the state-of-the-art Sprint Center, this Welcome Ceremony will use the same technology and equipment used by many of today’s top touring artists. 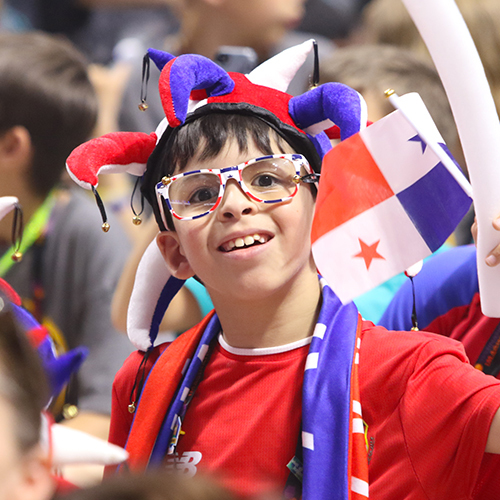 An international Parade of Nations will usher you into the cultural exchange that your team will experience all week. This celebration, brought to life by YOU and an arena full of cheering team members and flashing lights, is sure to leave you awe-inspired as you enter into an unforgettable week of celebrating creativity.